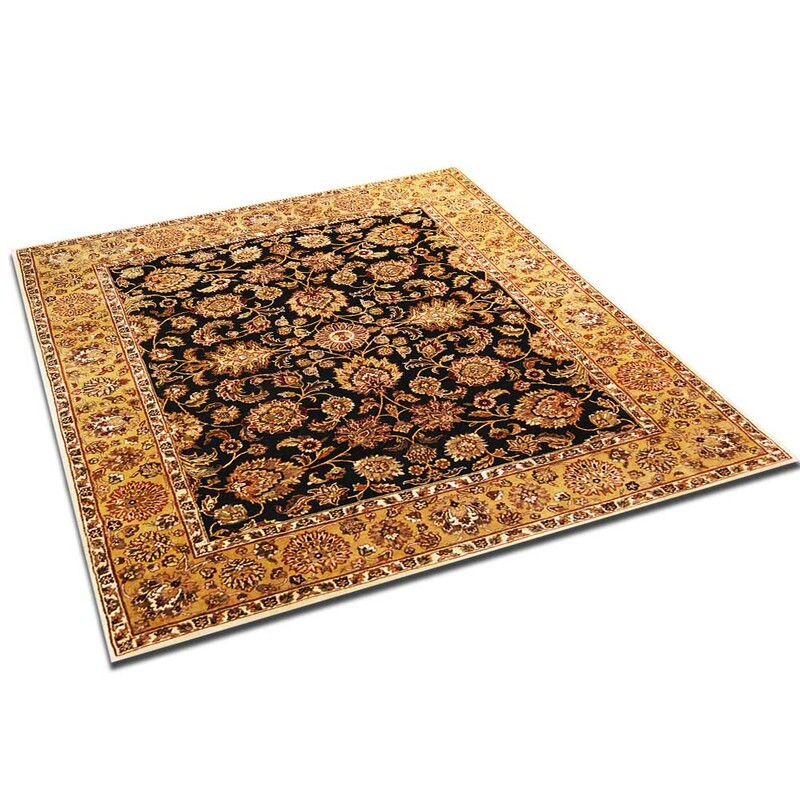 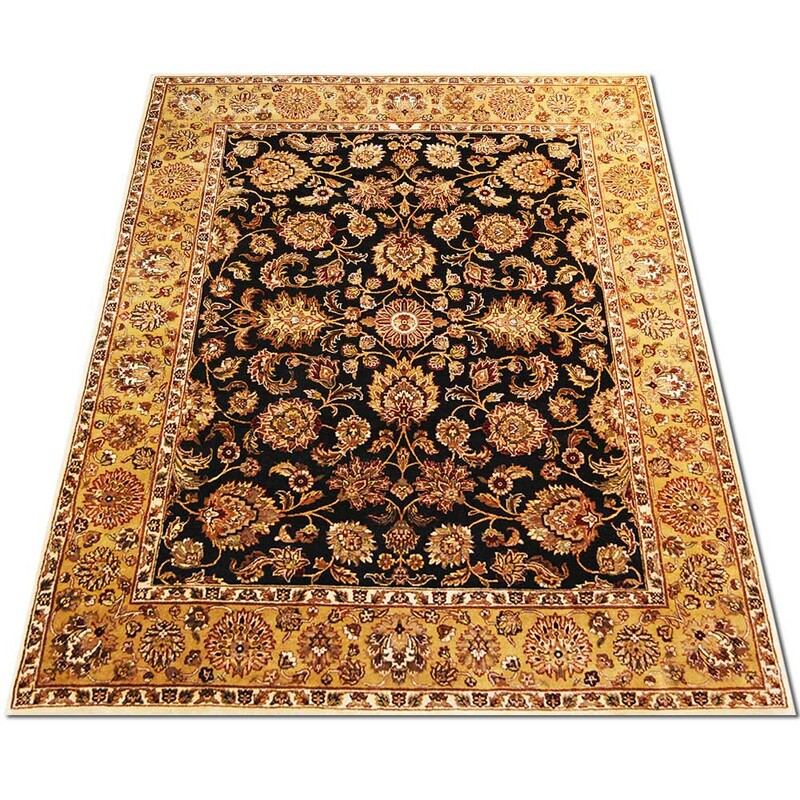 The 8’ 1” x 9’ 10” Kashan from India. 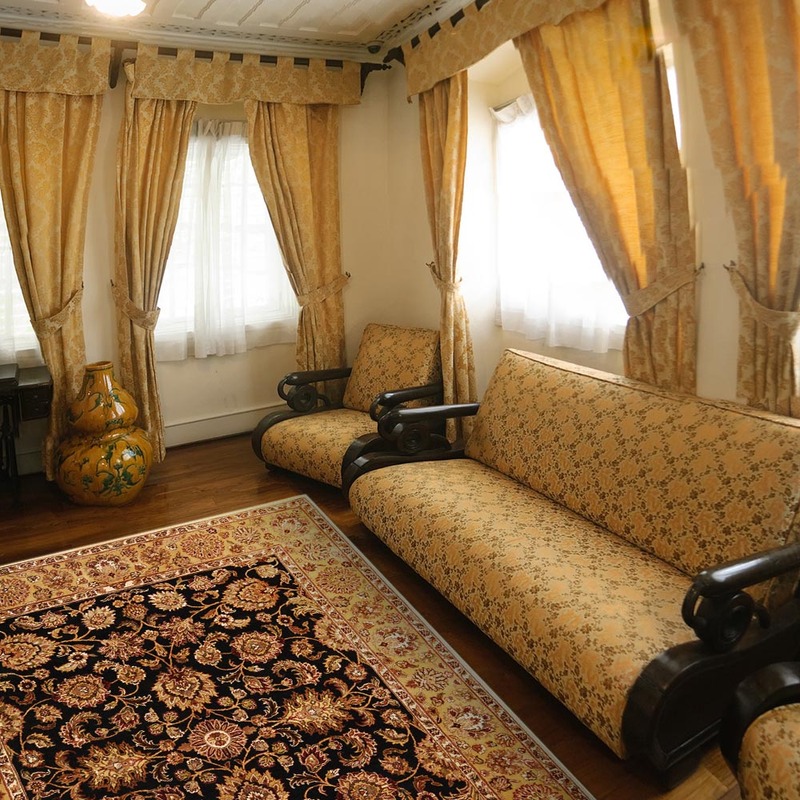 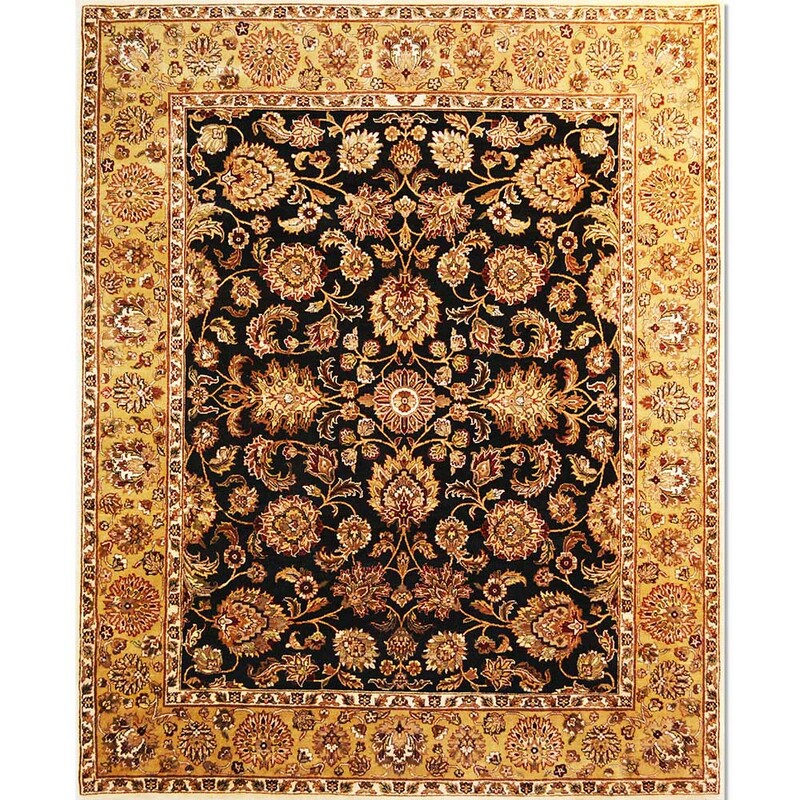 A deep black fielded carpet that is framed in a gold colored border. 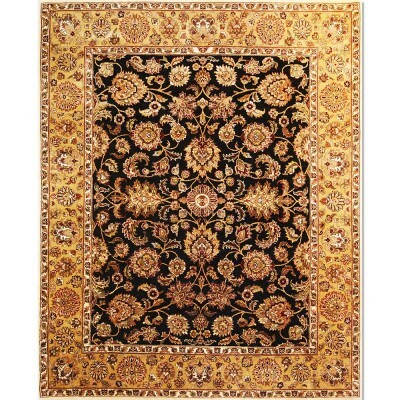 It has accents colors of burgundy, ivory, browns, sage green and ivory.